The performer shows a rope to the spectators. 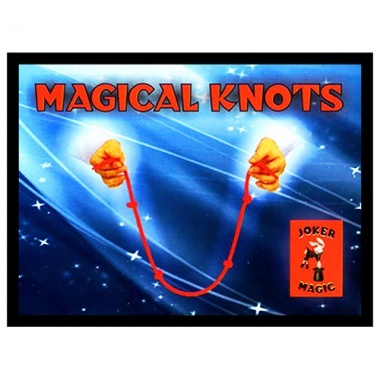 He coils it up around his hand, ties a small magical knot on it, which makes four knots appear on the rope. He unties the first knot, but to speed things up he coils the rope once more around his hand, then comes the magic knot again. All the knots vanished! - The rope is made of cotton and is cm 105 (41,3”) long. - After this more tricks can be performed with the rope, it can be handed out to the spectators to examine.